When you start managing sales teams – it’s no longer your job to hit the sales target – it’s your job to ensure the target gets hit. But once you’ve worked out what everyone is supposed to be doing – every sales manager really needs to start understanding motivation. Yeah sure they’re being paid – and I know you think that should be enough – but really, is that what makes you jump out of bed every morning and do your best work? I’ll bet your incredible work ethic is driven by more than just money. So, if you don’t understand key motivators, can’t recognise what drives different personality types and didn’t know you can’t motivate someone if you’re not genuinely motivated yourself – then now’s a good time to start. 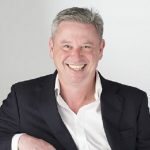 In this free webinar I’m going to give you a simple exercise that will motivate your sales team to really get stuck in and deliver on that target for you – and if that sounds useful, then make sure you sign up before the 100 allocated places fill up.. 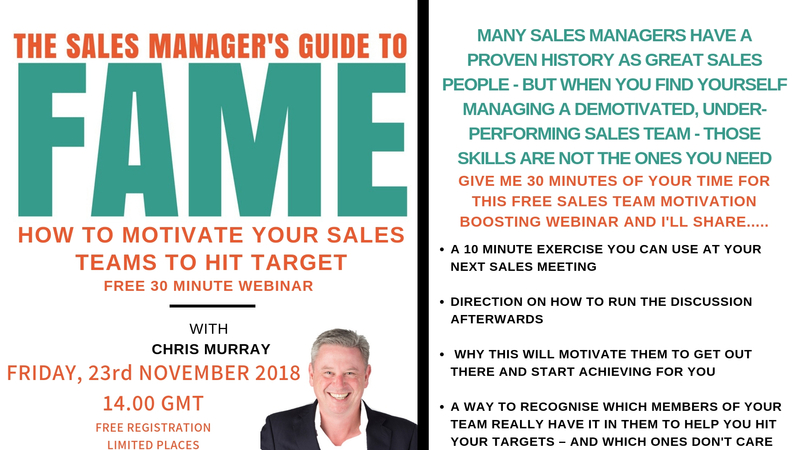 This webinar will be delivered by Chris Murray, author of Selling with EASE and The Extremely Successful Salesman’s Club. Chris is founder and Managing Director of the Varda Kreuz Training Group and has written articles for a number of institutions, magazines and websites including; the Institute of Sales and Marketing Management, Training Magazine Europe, The Sales Pro, CNBC.com, Entrepreneur, The Huffington Post and USA Today. Click on the Reserve Your Place button below (which will take you straight to the GoToWebinar Registration Page) to reserve you place right now. Places are limited – sincere apologies if we’ve already reached capacity.